Robert Truslow Obituary - Colora, Maryland - R.T. Foard Funeral Home, P.A. 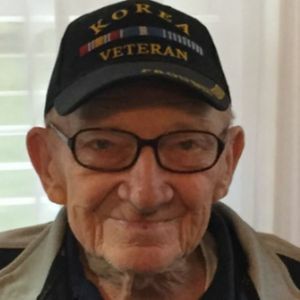 Robert Lee Truslow, age 89 of Colora, MD passed away on April 11, 2019 at Upper Chesapeake Hospital. Robert was known lovingly as "Bob", "Sarge" and "Pop" by his loving family and many friends. Born November 5, 1929 in Blythedale, MD, Bob was the eldest son of fourteen children to the late Frank W. Truslow and the late Gabella (Snelling) Truslow. Bob served his country proudly in the U.S. Army for twenty years where he taught at Aberdeen Proving Ground during his last two years of service. He worked as a welder and pipefitter and also owned a furniture store in Rising Sun, MD called Bo Bo Mac. Bob enjoyed tinkering with his Hamm Radio, vegetable gardening and reading Westerns. He also enjoyed cooking and was known for his famous Yakitori Chicken. He found peace in being next to the water, whether it was at the Bay or at a riverside. Bob was a dedicated family man and was considered the patriarch of the family. If someone needed help of advice, they would seek him out. He truly was a "Big Brother" to all and will be missed deeply. Bob is survived by his wife of 42 years, Delilah Truslow; son: Robert H. Truslow and his wife, Kristin; two step-sons: Walt Ragan and his wife, Deanna, Dean Ragan; two stepdaughters: Debbie Yale and her fiancé, Tom Dye and Wanda Willard and her husband, Steve. Bob is also survived by ten grandchildren, six great grandchildren and four siblings. Including his parents, Bob was preceded in death by his grandson, D.J. Ragan and many brothers and sisters. A celebration of Bob's life will be held in his honor at 11am on Thursday, April 18, 2019 at R.T. Foard Funeral Home, P.A., 111 S. Queen St., Rising Sun, MD 21911, where family and friends may visit at 10am. Burial will follow at West Nottingham Cemetery, Colora, MD. In lieu of flowers, memorial contributions may be made payable to "Calvary Missionary Baptist Church" or to "Pushing Pink Elephants" and sent in care of the funeral home, P.O. Box 248, Rising Sun, MD 21911. Please enhance this tribute to Bob by adding your memories and photos.